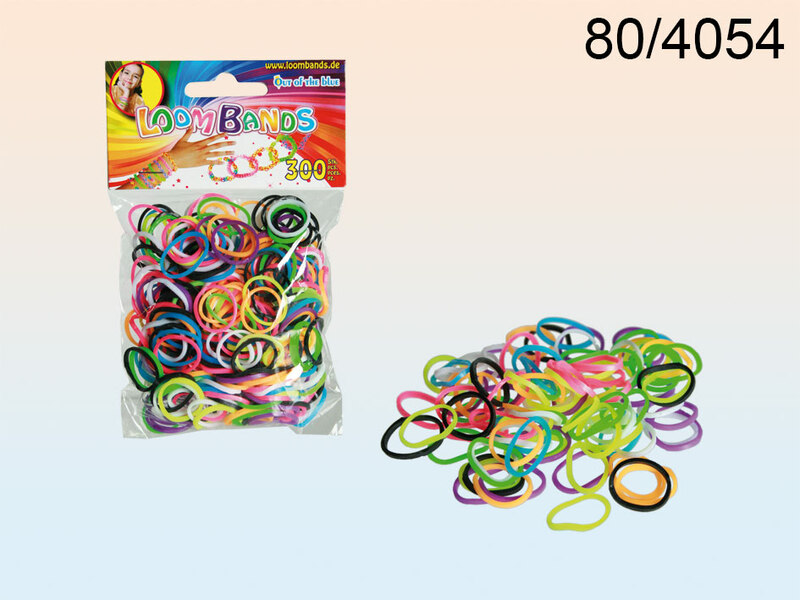 Set of bands and accessories enabling children and parents to make their own unique bracelets made of colouful rubber bands. The contains 300 bands. Assorted colours.